What are the benefits of iron doors? Not only do iron doors enhance your home in visual beauty, they add value to your home due to their durability and security. 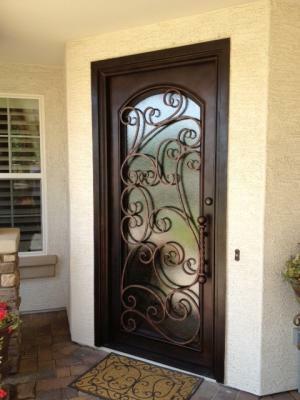 A Signature wrought iron door is built to withstand all weather changes and trespassers. Iron doors require minimum maintenance and are designed to your taste. This is an iron entry door and iron garage door we did for a family near Paradise Valley Arizona. They felt drawn to the Catalina design so our technicians built these doors just for them. 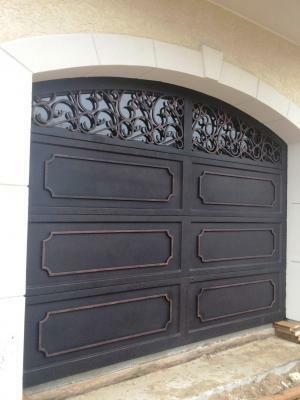 To see more iron entry doors and iron garage doors, call us and come visit our showroom in Phoenix Arizona and meet with someone from our sales team to discuss your iron door options.